Need a trained eye to look at your eyes? Our professional staff of ophthalmologists, optometrists, orthoptists, and opticians are specially trained to evaluate and treat all of your visual needs. From optical correction for glasses or contact lenses to complicated medical and surgical disorders, we have over 60 years of experience helping meet the visual needs of Green Country families. Get optimum ocular performance with regular eye exams for the whole family. Our friendly staff make appointments quick and easy, so you can get on with your day. Whether it’s surgery, optical correction, or medical treatment, our experts can recommend the best course of action for conditions ranging from blocked tear ducts to tumors. An orthoptist is an ocular muscle imbalance specialist, and the only certified orthoptist in Tulsa works here. See how ocular therapy is sometimes the best option. Commonly referred to as “cross-eyed”, a strabismus can be fixed with surgery, medication, therapy, or glasses. It is muscle imbalance in which the eyes do not function or cooperate together properly, particularly at near distances. When eyes can’t leave a tear film behind after blinking, it can be incredibly irritating. Eye drops are typically used to fix dry eyes. Also known as drooping eyelids, this can occur congenitally or develop later in life due to some acquired disease. Meaning "dull" or reduce vision. It may be caused by a variety of problems and treatment will vary from optical glasses, patch therapy, or surgery. For glasses, contact lenses, sunglasses, sports glasses and goggles. 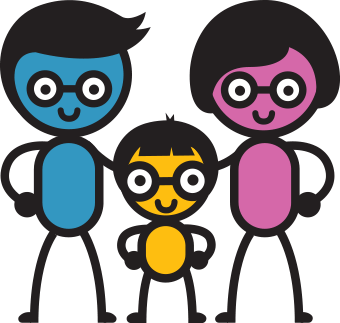 The idea of getting glasses, wearing them daily, and keeping them clean can seem daunting for both parents and kids. But, with the right plan, wearing glasses can become an easy habit; here are tips that will make the process a lot simpler.